Police said the "safety" driver a self-driving Uber was distracted and streaming a television show on her phone right up until about the time of a fatal accident in March. 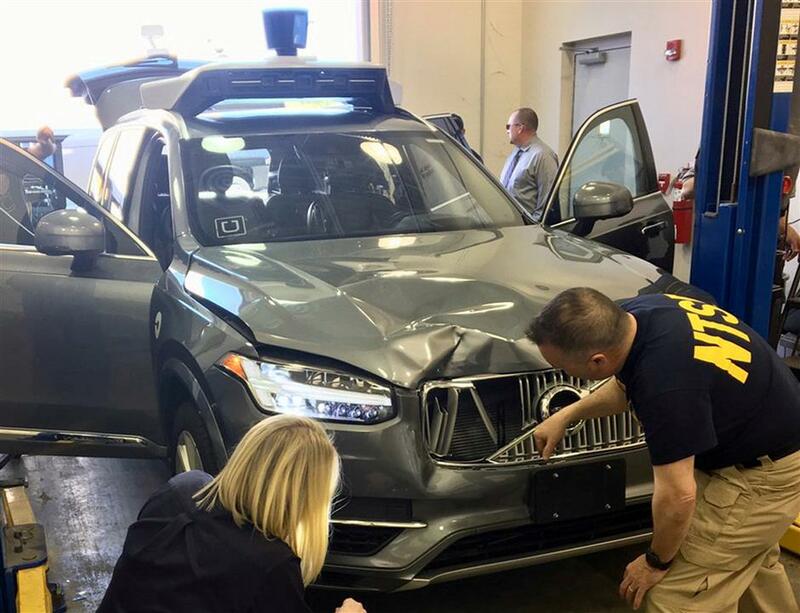 US National Transportation Safety Board investigators examine a self-driving Uber vehicle involved in a fatal accident in Tempe, Arizona, US, on March 20, 2018. Police in Tempe, Arizona, said evidence showed the "safety" driver behind the wheel of a self-driving Uber was distracted and streaming a television show on her phone right up until about the time of a fatal accident in March, deeming the crash that rocked the nascent industry "entirely avoidable." Police obtained records from Hulu, an online service for streaming television shows and movies, which showed Vasquez's account was playing the television talent show "The Voice" the night of the crash for about 42 minutes, ending at 9:59pm, which "coincides with the approximate time of the collision," the report says.